Swimming is often a sport for all ages. It helps young people to tone their muscles and grow healthy and robust. For the elderly, there's no better way to workout than finding a Stockholm Pool to escape from every day routine. The perfect varieties of Stockholm Swimming Pool (City) are located mainly in big cities, but it's also painless to find public pools in rural areas. Do you know of any Pools in Spain that should be listed here? Contact us!. Please have a look at the pools swimmers like you have reported near Stockholm. Please, report any Stockholm Pool not listed here. 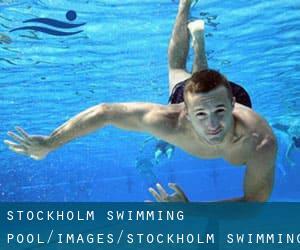 Swimia.com needs your feedback on Aquagym in Stockholm to ensure all the information about swimming in Stockholm is valid. Please contact the sports center in Stockholm to check which activities are being provided and their timetables, due to the fact varieties of Stockholm Swimming Pool (City) could have numerous rules and fares than other places. There are various causes why you should choose a heated swimming pool in Stockholm. The most important a single relies on the importance of keeping the body temperature stable. When the water is as well cold, your body will try to warm it up and you will lose strength to swim properly. Enjoy the best indoor pools in Stockholm and don't worry about the weather. These facilities are open all seasons and you can enjoy a swim at the same temperature every day of the year. If you're tired of getting eyes and irritated skin, acquiring a saltwater pool in Stockholm can be the resolution. You should know that the level of salt from these pools is effectively below the level of salt from sea water, specifically they are talking about a tenth or much less. Updated on 2019 Bergsgatan 58 , Kungsholmen , Stockholm , SWEDEN (Postal Code: 112 31). Swimmers like you reported 25 meters, 6 lanes, 0.9 meters - 3.5 meters depth, 0.9 meters - 3.5 meters depth, Indoors. Phone number and e-mail address are number for this Swimming Pool. Updated on 2019 Farstaängsvägen 3 , Farsta , Stockholm , SWEDEN (Postal Code: 123 46). This sports center offers 25 meters, Indoors. For this Swimming Pool, only phone number is number here. Bergslagsvägen 60 , Bromma , Stockholm , SWEDEN (Postal Code: 168 75). This sports center provides 25 meters, 6 lanes, 0.9 meters - 4 meters depth, 0.9 meters - 4 meters depth, Indoors. For this Swimming Pool, only phone number is number here. Updated on 2019 Drottning Sofias väg 20 , Östermalm , Stockholm , SWEDEN (Postal Code: 114 33). This sports center provides 25 meters, 6 lanes, Indoors. For this Swimming Pool, only phone number is number here. Bodholmsgången 10 , Skärholmen , Stockholm , SWEDEN (Postal Code: 127 48). Among all the activities supplied by the center, if you are thinking about swimming you might take pleasure in 25 meters, Indoors. Just in case you want to contact this Swimming Pool before dropping by, we only know the phone number. Hammarby Slussväg 20 , Södermalm , Stockholm , SWEDEN (Postal Code: 118 60). This great and large sports center lets professional swimmers like you enjoy Olympic size x 25 meters, 10 lanes, 2.6 meters depth, 2.6 meters depth, Indoors. Additionally, within these facilities you can try 25 meters x 35 meters, 14 lanes, adjustable depth, Indoors. Phone number and e-mail address are number for this Swimming Pool. Dalens Allé 10 , Enskede , Stockholm , SWEDEN (Postal Code: 121 31). Among all the activities provided by the center, for anyone who is interested in swimming you will enjoy 25 meters, Indoors. Just in case you wish to make contact with this Swimming Pool before dropping by, we only know the phone number. Updated on 2019 Medborgarplatsen 6 , Södermalm , Stockholm , SWEDEN (Postal Code: 118 26). Swimmers like you reported 25 meters, Indoors. Unfortunately we do not have the e-mail address of this Swimming Pool, but we can give you the phone number. Updated on 2019 Personnevägen 90 , Västertorp , Stockholm , SWEDEN (Postal Code: 129 49). Among all the activities offered by the center, for anybody who is interested in swimming you will take pleasure in 25 meters, 6 lanes, 3.9 meters maximum depth, 3.9 meters maximum depth, Indoors. Just in case you want to contact this Swimming Pool before dropping by, we only know the phone number. Updated on 2019 Rangstaplan 2 , Högdalens Centrum , Stockholm , SWEDEN (Postal Code: 124 21). Among all the activities supplied by the center, if you are interested in swimming you will enjoy 25 meters, 6 lanes, Indoors. If you need to contact this Swimming Pool, email address and phone number are both number. Updated on 2019 Drottninggatan 88 , Norrmalm , Stockholm , SWEDEN (Postal Code: 111 36). Swimmers like you reported 23.5 meters, Indoors. Unfortunately we do not have the email address of this Swimming Pool, but we can give you the phone number.